Thanks to all of you who supported our holiday campaign! 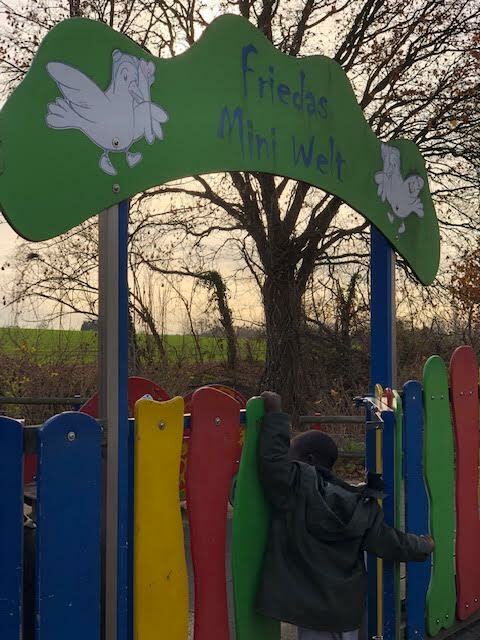 We just got back from Oberhausen, Germany after delivering our holiday gifts to the International PeaceVillage Friedensdorf international. It was a very special trip. 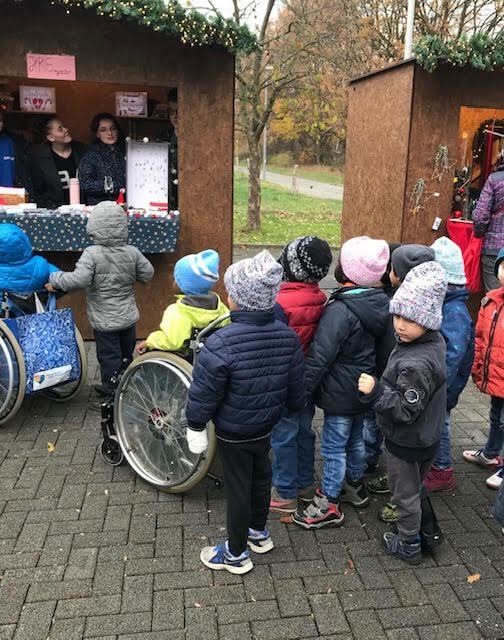 The main purpose of our visit is to deliver our gifts, holiday cards and hair accessories to over 200 children, and we were able to participate at their holiday booth and met so many great people. The International PeaceVillage is a non-profit organization, founded in 1967 by the citizen movement. The main purpose of their activity is give an individual medical aid for sick and injured children who cannot receive any treatment in their home countries, but who have a chance of being cured in Europe. They also provide aid projects in regions of war and conflict to improve local medical services. Lastly, they give them a peace education to promote humanitarian awareness and social engagement. When they arrive to this village, so many children are lacked of nutrition, they are unable to walk well. Many of them are with severe burns. It is such heartbreaking to see that they are all innocent children but they are the ones who directly or indirectly affected and sacrifice most. Contrary to our expectation, we were completely shocked and surprised how happy children were. Children are amazing. They all master German in a blink of an eye. Their smiles are priceless as they feel safe and loved by so many wonderful staff members and volunteers. The people who made our trip very special are Keiko Asano from Japan and Taeko Shishikura who works at the village. Taeko works at the village and is the most dedicated and caring person we’ve ever met. She has promised us to give our gifts to each child on their “Peace Day” at the end of December. We do hope that we can work with PeaceVillage next year again. No matter how small the scale is and if you have the courage to move to action, we can help changing the world. Here is one more person we want to thank is Ellie who made this trip possible. She orchestrated an event in NJ for us. We wish you all a happy holiday seasons. Older PostWay to go! Thanks to Friends in Greenwich, CT! !